Organise your bathroom and makeup storage, Huge selection of toilet items & makeup organisers available in a variety of styles and patterns at Storage Box. *This is only a selection of what we have available in store. Please contact us for more information. Getting organised is made easier with our range of bins, craft & storage boxes. Find a home for everything both small & large at Storage Box. *This is only a selection of what we have available in store. End of line products at clearance prices. Swedish designed, elfa shelving is engineered to hang from a single fixed top track. It can therefore be reconfigured at any time – quickly and simply. With flexible solutions to utilise your space, elfa provides endless opportunities for you to be better organised. Shop for bottles, jars, jerry cans and water containers at Storage Box. Storage Box carries a number of kitchen products and essentials. If you are looking to make life in the kitchen easier, check out all our great products. Organise your home, Huge selection of bean bags, furniture, office accessories and drawer organisers available at Storage Box. Organise your laundry, Huge selection of laundry ideas available in a variety of styles and patterns at Storage Box. 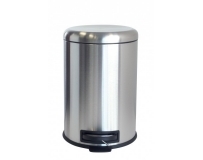 Choose from a selection of household rubbish and refuse bins available in a range of styles & colours for the home and business. 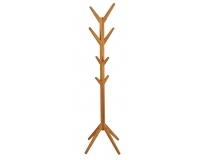 Organise your wardrobe and shop for coat hangers, shoe racks, garment racks & wardrobe accessories at Storage Box. Made from recyclable polyethylene, the bins have been rigorously tested to withstand UV radiation and extreme weather conditions. The design of the bin lid also ensures a perfect fit against the base preventing unwanted smells to escape and rainwater to seep through. Our double overdoor hook can quickly be added to an office, closet, bathroom or laundry door to create instant, accessible storage of towels, coats, hats or handbags. Chrome Plated for strength and durability. Our overdoor hook can quickly be added to an office, wardrobe, bathroom or laundry door to create instant, accessible storage of towels, coats, hats or handbags. Chrome Plated for strength and durability. The airer has height adjustable wings. It has durable plastic feet that reduces potential floor marking. Ideal for the laundry or outside on a sunny day. This handy accessory case is ideal for storing away your tools, nails, nuts, bolts and screws. Ideal for craft items or your children's toys. It's lid keeps everything contained inside. Keep your arts and crafts organised in this single compartment box. It is ideal for storing and sorting smaller items, first aid supplies, or even the latest craze loom bands. They have a clip closure, hinged lid and are clear enabling easy contents viewing. Perfect for storing and organising a range of cosmetics, toiletries, jewelry and hair accessories. Perfect for storing and organising a range of cosmetics, toiletries, jewellery and hair accessories. This extra large Multi-Level Cosmetic Organiser keeps all your beauty essentials neat and protected. The 4 drawers woffer plenty of storage space. Nested inside a chrome wire rack, it makes a stylish addition to any vanity. This round container is perfect to keep your cotton pads clean and dry. It has a open side, allowing easy access for use and to refill. This organiser has the capacity to hold nine lipsticks. It could also be useful for storing makeup pencils or brushes. A great way to clean and organise your bathroom cabinet or dresser drawers. Made from sturdy clear acrylic. This cosmetic organiser has the capacity to store six lipsticks with two slightly larger compartments at the rear ideal for brushes or eye makeup pencils. It has a larger front compartment which could store foundation bottles or face cream jars. This clear moulded acrylic squeegee is ideal for cleaning the tiles or glass after showering to help stop the build up of mould in your bathroom. This could also be used for cleaning condensation from your house windows during the winter months. Easy application, suction attachment, no hardware needed. This soap saver is designed to aid the draining of your soap, therefore ensuring your soap lasts a little longer It is made of flexible clear plastic and has prongs on both sides, making it totally reversible. This versatile clear clip lid organiser could be easily adapted for fishing tackle, craft items or tools. It has removable dividers allowing you to vary your compartment sizes. A central button in the lid allows you to lock it. Being constructed from heavy plastic it is a very sturdy unit. This practical 100ml atomiser plastic bottle has endless uses. With a removable screw cap and an atomiser spray, it is Ideal for filling with your favourite perfume, body spray or spritzer for a quick freshen up during the day. Ideal for travelling or in your handbag for personal hygiene products. Keep avocados fresh for longer! Simply place a cut avocado face-side down on the bright green base and snap the lid closed. The avocado will stay fresh and moist and ready for the next use. The bright green colour of this BPA-free plastic container allows for easy identification in the refrigerator, putting the days of wasted avocados behind you. Dishwasher safe on the top rack only. Put all your dirty laundry in one convenient place with this stylish Azrec laundry hamper. Folds away for convenient storage when not in use. These colourful sipper cups are great teaching your little ones to drink out of a cup. Keep mess to a minimum with these sippy cups. These brightly coloured bag clips are ideal for keeping a tight seal on opened packets of potato chips, biscuits, sweets or frozen peas. There are 4 large and 4 small bag seals in each packet. Dishwasher and freezer safe. These are truly magic sealers. Easy to use they keep your opened food fresh. Simply guide and slide the sealer along the top fold of your packet or bag. This 10 piece pack offers different sized re-useable sealers. Designed to be functional and stylish all at once. This bamboo trolley unit is suitable for any room of the house from bathroom to lounge. The wheels make it easy to move from room to room. Co-ordinate with matching bamboo pieces from the range for pulled-together look. Create a statement in your home with this stylish yet practical bamboo and white A Frame shelf unit. Our bamboo chopping boards are the perfect addition to any kitchen. These are both practical and stylish. Bamboo wood has many advantages in the kitchen - dishwasher safe, dense wood leaving no where for bacteria to hide! Bamboo is fast growing making it highly sustainable. Bamboo wood has many advantages in the kitchen - dishwasher safe, dense wood leaving no where for bacteria to hide! Bamboo is fast growing making it highly sustainable.